Go Fund Me – Drill Ranch! Click on the card to see it better!! Liza interviewed on KBOO radio – listen! 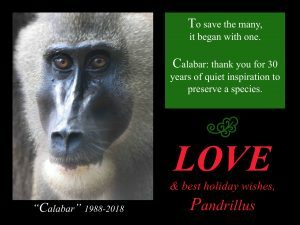 Happy Holidays 2013 from Pandrillus! 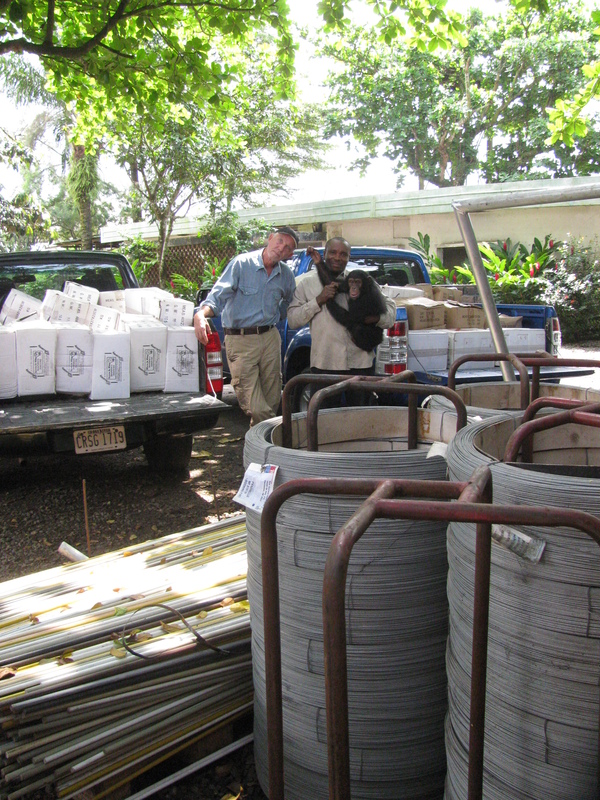 Chimpanzee fencing materials finally arrive!!! On November 23rd, 2013, our long-awaited fencing materials finally arrived at Drill Ranch Calabar from Onne Port in Rivers State. They were shipped from Portland, Oregon USA in May 2012 and had been held up in the port for over a year – we had trouble getting our duty-exemption from Abuja, even though Pandrillus is entitled to it, but in the end a solution was found and the materials are here!! Finally! Shipping from the USA was paid for as part of the AUSAID grant to complete the Nigerian Chimpanzee Center, the new facility for our chimps at Drill Ranch Afi Mountain. 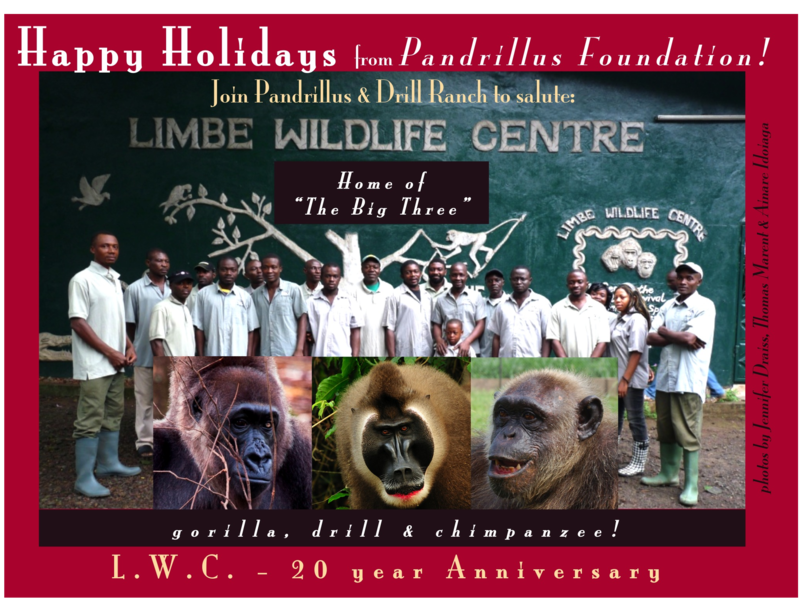 30 of the project’s 33 chimpanzees already live there but in less than optimal conditions. The new electrified enclosure is nearly 2.5 km around the fenceline with beautiful forest inside and a stream. It should be a large enough area for the current population to live in for the rest of their lives. Peter and Asuquo with little Ikukoyi after unloading the fencing materials in the Drill Ranch Calabar driveway. Thanks to AUSAID for the cost of the shipping to Nigeria, Governor Liyel Imoke for assisting with Customs in Abuja, the Cross River State Anti-deforestation Task Force for assisting with vehicles and logistics between Rivers and Cross River States, and Bill McCamman of New Zealand Fence Systems in Clackamas, Oregon USA for cheerfully warehousing the materials for years (!). 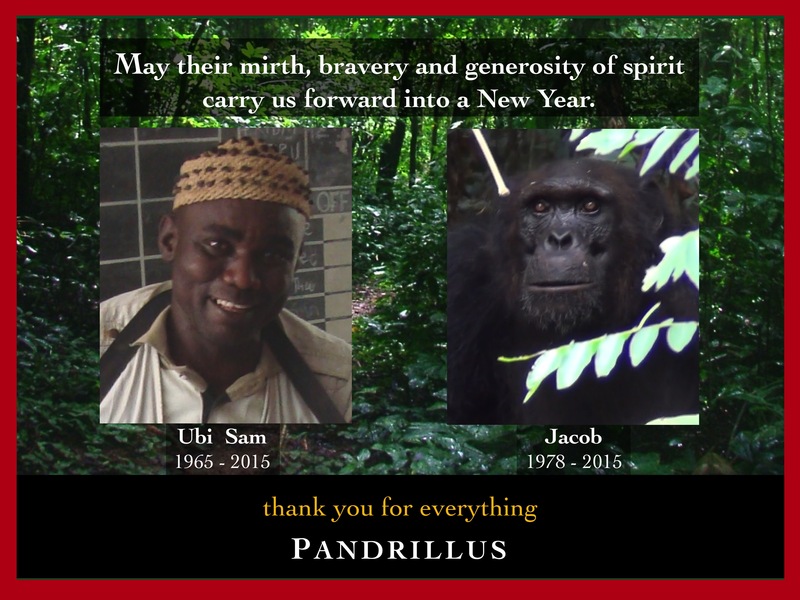 In 2011, Peter Jenkins, founder and co-director of Pandrillus, was installed as the Chairman of the Cross River State Anti-deforestation Task Force (ATF). The need for such a task force was identified through the continued collaboration of Pandrillus and the Cross River State Governor, His Excellency Liyel Imoke, focusing on the continued loss of Cross River State’s forests. This followed a moratorium, decreed by Governor Imoke at the beginning of his first term, of all tree-felling in Cross River State. Initially a 2-year timeline, the moratorium was extended until the end of Governor Imoke’s 2nd term as Cross River State Governor. 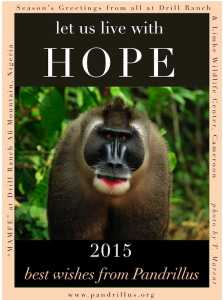 The mission of the Anti-deforestation Task Force is to protect the forests of Cross River State. In addition to unregulated and unplanned farm expansion, the primary loss of the state’s forest is to illegal timber trade. This is a multi-billion Naira industry. Timber dealers – mostly non-indigenes of the state – collude with individuals from all walks of life, from villagers right up to highly-placed politicians, and take advantage of weak or non-existent enforcement and monitoring. Few people involved – from the sawyer cutting the tree, to the unseen timber kingpin who profits most, to the villagers who allow illegal timber people access to their community forests – understand that once the trees are gone, they are gone forever. For public enlightenment, the ATF has a weekly radio program called “Forest Na Life”. The show airs on Cross River Radio at 8:00 a.m. Saturday mornings, and is hosted by the well-known and popular local broadcaster Felix Ibiang. Since Peter commenced his tenure, there has been significant progress into identifying the mechanisms involved in the illegal timber trade. One discovery is that much of the timber that passes through the state originates in Southwest Region, Cameroon. Timber is being felled illegally in Cameroon, sawn into planks on site, and floated in massive rafts down the Cross River. Often, this wood never touches the shores of Cross River State but is intended to be off-loaded on the west bank of the Cross River in Ebonyi or Akwa Ibom States. While Cameroon is a natural trading partner for Nigeria, the government of Cameroon realizes zero revenue from this illegal timber smuggling. Peter has discussed with officials in Yaounde and Buea on how the ATF can cooperate with appropriate authorities in Cameroon to stem this tide. Since January 2012, over 100 chainsaws, 7 boat engines, 4 water pumps and several billion Naira’s worth of timber has been seized. The ATF also recently had their first judicial conviction, with several more cases about to be prosecuted. Vehicles carrying timber are also seized and heavy fines must be paid by the owners for the release of their vehicles. In September 2012, Governor Liyel Imoke visited with Peter and other ATF personnel at Drill Ranch Calabar to re-state his public support of the Anti-deforestation Task Force and their actions in the pursuit of the illegal timber industry. It was covered by local media outlets in Cross River State, further publicising the achievements of the Anti-deforestation Task Force. It’s taken us a while but Pandrillus has caught up with the “cool kids” and we now have a Facebook page. 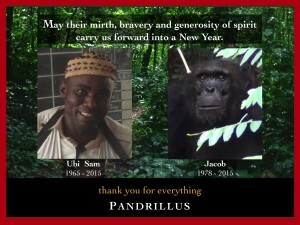 Click on this link (https://www.facebook.com/pages/Pandrillus/379304355421353) and like our page to keep up with all the goings on here at Pandrillus. Be sure to tell all of your Facebook friends as well!